This president is just not serious about anything unless it has to do with Obamacare … God Help Us! As reported at The Weekly Standard, President Obama’s team met the other day to discuss the ongoing situation on Ukraine as Russia is invades the and Barack Obama was no where to be found. But don’t worry, Susan Rice, Obama’s National Security adviser, briefed him. Yes, the same Susan Rice. Former Democrat President Bill Clinton played the sax; however, it looks like Nero Obama is playing the violin. A White House official emailed some reporters to say that President Obama’s team met today to discuss the ongoing situation on Ukraine. It appears President Obama did not attend. 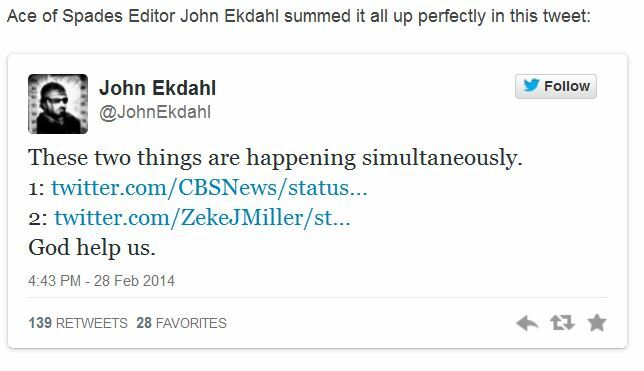 According to Time magazine’s Zeke Miller, Obama skipped the meeting. “Obama did not attend the meeting, but WH official says he has been briefed by Susan Rice and his national security team,” says Miller. But wait, on Friday after the Russians sent troops in Ukraine, Barack Obama completed his “Russian Speech”, he did find the time to declare an official ‘happy hour’ with Democratic Party. What is wrong with this guy? He finds the time to go on ‘The View’ and do NCAA Basketball bracketology, but foreign policy meetings as the Russians invade is off limits. 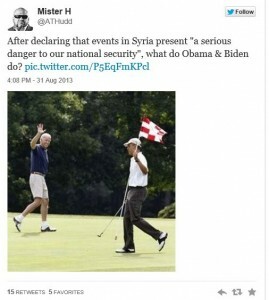 Barack Obama and Biden Go Golfing after Syria Presser … This is Suppsed to Show that Syria Poses a Clear & Immediate Threat to America? Really, Barack Obama goes on TV and has a presser from the Rose Garden of the White House telling us how imperative it is to attack Syria for gassing their people and then he goes play golf with Biden? 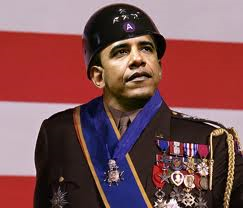 How can any one take what Obama says seriously, if he does not? What kind of a person tries to play on people’s emotions to drag them into a Middle East Civil Wat conflict by talking about children being gassed to death, then is so flip and plays golf? Sorry folks, this dude has issues. There is something not right with some one who operates like this. 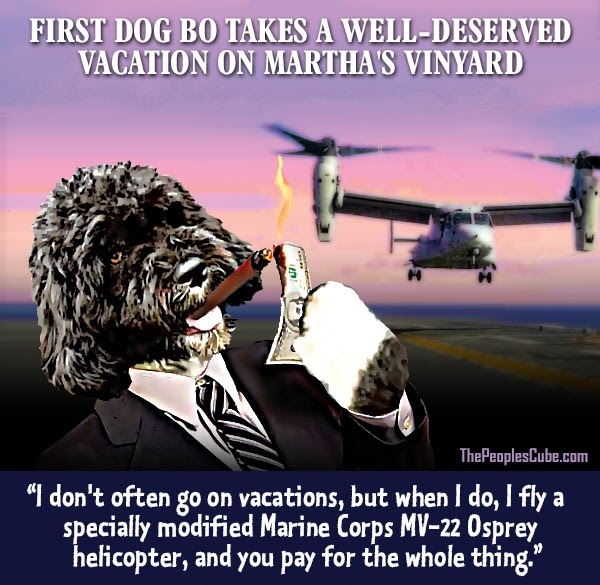 It is all like his job as President is just a joke to him and gets in the way of his golf game and vacations. I guess this is what a “community agitator” does, stir the pot and then just go about like business as usual.It would appear Legal Insurrection has the same issue. It’s NOT the Golf itself, but the ability of Obama to compartmentalize. One moment he’s giving a statement to the world about what he describes as a heinous breach of longstanding international norms the gravity of which has brought him to the decision to launch military action with almost no allied support, subject only to timing (and not necessarily even subject to congressional approval). Within an hour or so he’s on the links. Because after all, a poor economy, record food stamp participation, high unemployment, and bringing the US into a military action can’t stop Obama from playing his rounds of golf. Hey Obama, it’s 3 am and you are failing miserably and making the US look like a laughing stock. As the Politico reported, Obama’s motorcade left the White House at 2:30 p.m., about 30 minutes after completing his statement. I wonder if he showed up for his tee time, 35 minutes late? Obama goes golfing after deciding on Syria military strike … Don’t let a crisis you are peddling to the American people as in our national interest get in the way of playing golf. President Obama played golf on Saturday following his major announcement that he had decided the United States should take military action against the regime of Syrian President Bashar al-Assad for using chemical weapons on civilians during that country’s civil war. The president and Vice President Biden left for the course within minutes of his Rose Garden speech in which he asked Congress to first approve such action. Welcome to Obama’s War: The Imperial President Barack Obama could care less what “We the People” think or the US Constitution and the separations of power. As stated in a NBC News poll, nearly 80% of Americans want Barack Obama to get Congressional approval before the United States military attacks Syria. Let alone 50% of Americans want no military intervention what so ever if Syrian President Bashar Assad attacked his people with chemical weapons. Just yesterday, the British Parliament voted down their countries participation in any such attack. So the questions remains, will Obama ask Congress for approval to attack Syria? If he does, what happens if the Congress says No? So does this mean the the US is going to attack a Middle East country on its own with no mission? Oh that will go over well on the Arab street. But how is Obama treating this any different than Obamacare, ram it through at all cost. This president has no idea how to create any consensus, they just assumed it. Right now, Obama has a ‘Coalition of None’. Nearly 80 percent of Americans believe President Barack Obama should receive congressional approval before using force in Syria, but the nation is divided over the scope of any potential strike, a new NBC News poll shows. The nation loses a key ally in its consensus building efforts, as Britain’s parliament votes against supporting any U.S. strikes in Syria. NBC’s Andrea Mitchell reports. Fifty percent of Americans believe the United States should not intervene in the wake of suspected chemical weapons attacks by Syrian President Bashar Assad, according to the poll. But the public is more supportive of military action when it’s limited to launching cruise missiles from U.S. naval ships – 50 percent favor that kind of intervention, while 44 percent oppose it. Still, a whopping 79 percent of respondents – including nearly seven-in-10 Democrats and 90 percent of Republicans – say the president should be required to receive congressional approval before taking any action. From The Weekly Standard … No Regime Change—and Maybe No Strike At All. Hmm, I wonder if Obama is going golfing this weekend?